ANDREW POLLARD has worked for over 17 years in the conservation sector; initially as a postgraduate researcher at the universities of Plymouth and Wye College, Kent, then working for Kent County Council as a Senior Biodiversity Officer and at Somerset Environmental Records Centre. He is now based in his home county of Dorset, and currently works for Dorset Wildlife Trust, where he is responsible for co-ordinating action for the Dorset Biodiversity Strategy. This has included helping to initiate the Greenwood Tree Project, specifically aimed at raising the profile of and conserving the county’s veteran and ancient trees. EMMA BRAWN received a first class honours degree in Ecology and Biogeography from the University of Brighton in 2007. Emma has always had a passion for trees and as part of her degree spent the first two years specialising in Arboriculture. Whilst at university, she held a two year work placement with the Borough of Poole as an assistant arboriculture officer. 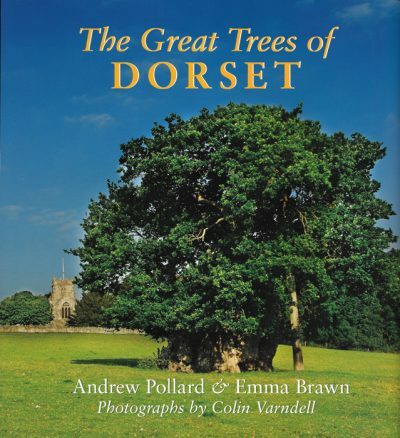 In 2006, Emma monitored veteran trees and potential bat roosts for the National Trust at Studland and in 2007 became the Greenwood Tree Project Officer based at Dorset Wildlife Trust. COLIN VARNDELL is one of Britain’s most distinguished wildlife photographers. He lives in Netherbury and has been photographing native trees in Dorset since the 1980s. His photograph of beech trees in hoarfrost, taken on Pilsdon Pen, was highly commended in the International Wildlife Photographer of the Year Competition. In 2009, he won the Wildlife in the Garden category of the International Garden Photographer of the Year. His books includes Wildlife in the West Country (1994) and more recently the bestselling Wild Dorset, published by the Dovecote Press in 2004.